Haunted house, zombie. 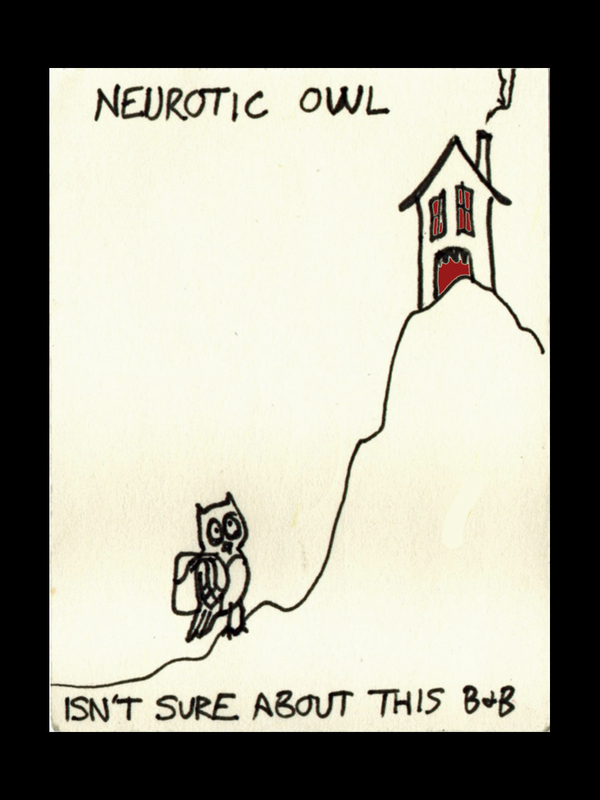 The real difficulty I’m having with this list is that I’ve already done cartoons about so many of the topics. It’s forcing me to think of new ideas, and thinking is haaaaaard. Don’t mind me. Halfway through a cold + bleeding from my loins = whiny. 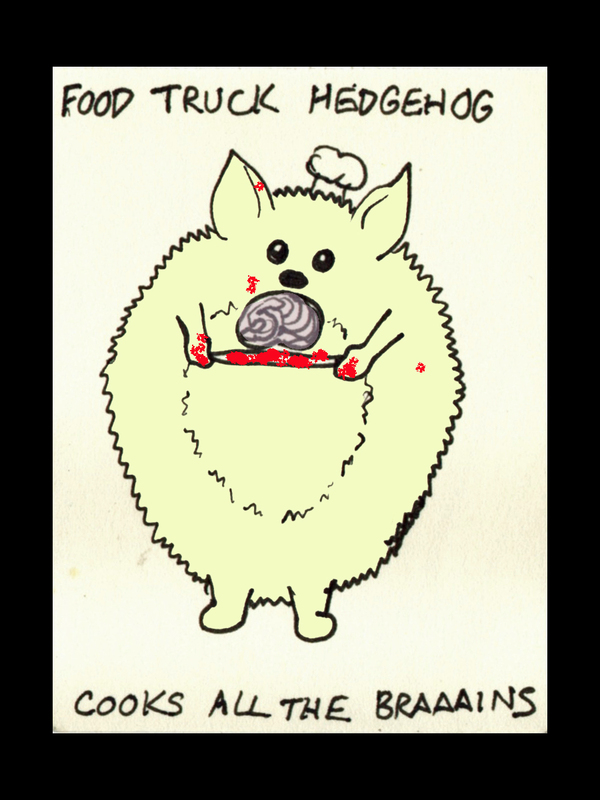 This entry was posted on October 28, 2015 by naralesser and tagged food truck hedgehog, hedgehogs, owls, zombies.